We are happy to inform everyone of our website upgrade. As leaders of our field, we needed to support the technological advances that are presently among us. Our website is now be able to be viewed via smartphones and tablets. It also contains some features such as ability to communicate via chat, and it also provides users with a blog page so they can stay current with announcements and or tips by our company. 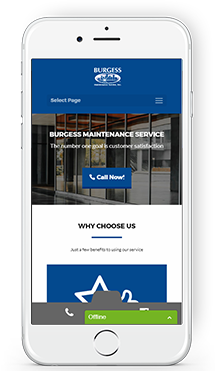 The team at Burgess Maintenance!